Mr. Angelo Foglia, age 79 years, passed away peacefully in Thunder Bay Regional Health Sciences Centre on Wednesday, March 28, 2018. Angelo was born on May 31, 1938 in Comiziano, Italy. Angelo met Pasqualina Rega and they were married in 1961 before immigrating to Canada in 1967, settling in Fort William. He worked at Cargill Grain Elevators and retired after over 40 years of service. His passion was gardening, and making wine and sausages, which he would share with family and friends. He loved to watch old western movies and listen to Elvis Presley. Angelo always looked forward to his yearly trips to Italy to visit his extended family. Angelo is survived by his four children Connie (Dan), Carmela (Ron) Toppozini, Sebastiano (Keli), and Lorenzina (Jerris Lander); nine grandchildren Larry, Angelina, Joshuah, Jesse, Jaylan, Adam, Cameron, Alexander and Ashton; siblings, Vittorio (Nancy), Maria, Mina (Salvatore), Anna and Lorenzina. Numerous nieces, nephews, cousins and friends survive both in Canada and Italy. Angelo was predeceased by his beloved wife, Pasqualina (2010); his parents Sebastiano and Concetta Foglia and sister Antoinetta. 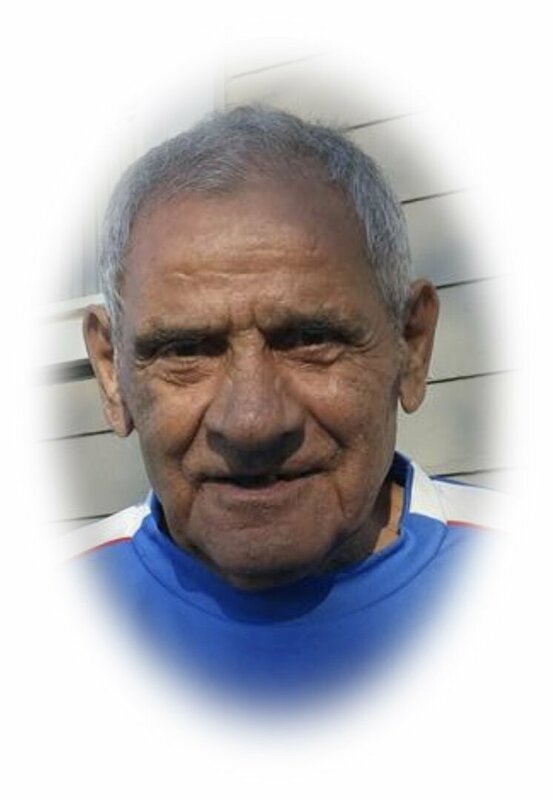 Funeral Services for the late Mr. Angelo Foglia will be held on Wednesday, April 4, 2018 with family and friends gathering in St. Agnes Roman Catholic Church for the Funeral Mass at 12:10pm, celebrated by Father James Pankikulam. Entombment will follow in Our Lady of Charity Mausoleum at St. Andrew's Cemetery. Visitation will be held on Tuesday evening after 6:00pm in the WESTFORT CHAPEL, 420 West Gore Street at James with Vigil Prayers offered at 7:40pm. Should friends so desire donations may be made to the Alzheimer Society or the Heart and Stroke Foundation.